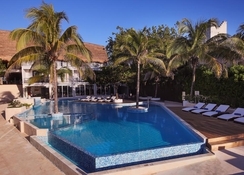 Le Reve Hotel and Spa is a Boutique Beachfront property situated on the Riviera Maya, in the isolated beach of Xcalacoco, 40km south of Cancun. 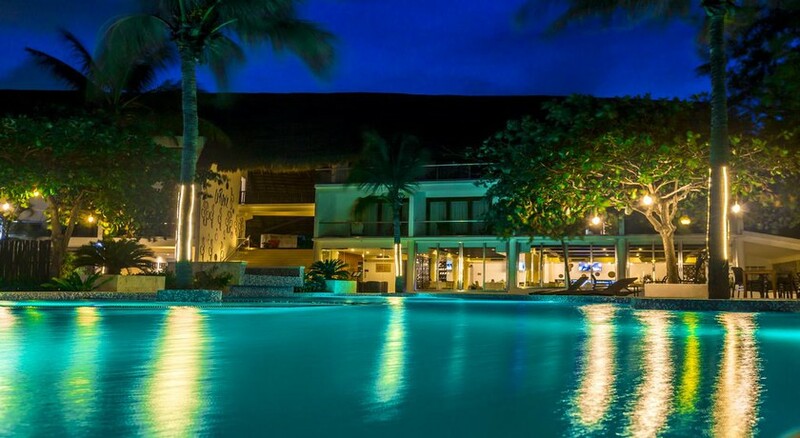 Xcalacoco is a perfect retreat, sensibly a long way from the tourist crowds, where visitors can make the most of their holidays in privacy, while not being too far from the hotspot of Playa del Carmen. Guest are guaranteed solace and warm hospitality with a touch of exclusiveness. 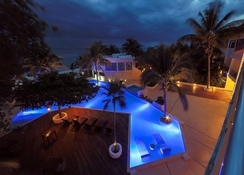 This enchanting hotel offers excellent sea view chic guestrooms and suites. Travelers will find an atmosphere of serenity meant for couples in search of some romantic and private time amidst nature. 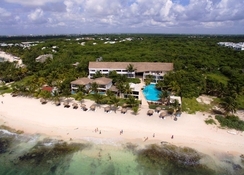 Situated 45 minutes south of Cancun and 10km north of Playa del Carmen, Le Rêve Hotel and Spa is a beachside gem on the Caribbean Sea with a remarkable collection of exclusive guestrooms, with the ideal mix of nature, peace, comfort, culinary joys and Mexican friendliness. 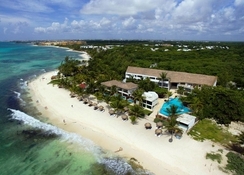 Cancun International Airport is 51km from the property. The hotel’s guestrooms are composed with a modern and contemporary style that enable you to appreciate every one of the luxuries of a blissful holiday, with a novel and customized approach. Its interesting spaces, private porches, windows with gorgeous sea views and our select beachfront rooms enable our visitors to feel the closeness to beach during their stay. The rooms are furnished with traditional accents, yet full of all amenities that make your stay comfortable. 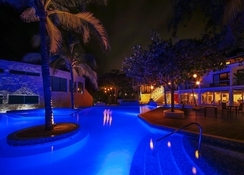 The rooms are categorized as Queen Garden View with Balcony or Private Garden, Queen Ocean View with Balcony, Junior Suite Ocean View, Master Ocean View and King Ocean Front Bungalow with Swim out or Jacuzzi. Enjoy delicious regional and international dishes in the poolside Merlot Restaurant and Bar, or new ceviche and light dishes in the beachfront café. The hotel offers a gourmet all-inclusive package to all its guests, romantic dinners on beach, cooking classes or wine sampling are few of the ways you can savour the culinary experience. Delightful breakfasts, snacks, meals and titbits are prepared by expert cafes using the best and freshest ingredients. Meals can be customised around your requirements. The Snack bar is a perfect place to unwind with your feet in the water amidst shades of extensive trees and tropical palms or just drench up the sun while sipping a chilled refreshment or biting into a sandwiches and ceviche. The hotel has a gorgeous private beach equipped with sun chairs. Activities like snorkelling, diving and fishing can be enjoyed at extra cost. 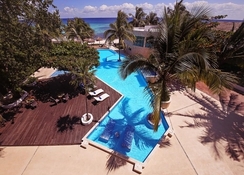 You can cool off in the pool or lie back on a sun lounger on the poolside terrace. Guests can spend the day at the beach, then relax with a massage. Children between 4-12 years can chill at the Play Area. There is a Golf Course nearby. The lovely Spa offers rejuvenating therapies and treatments.